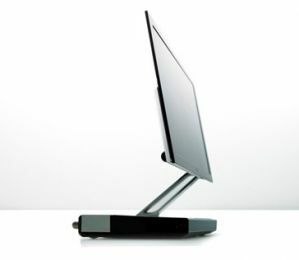 In October 2007, Sony announced the XEL-1 TV, the world's first OLED TV. OLED displays are thin, efficient and bright, and the XEL had a highly regarding image quality for the time. 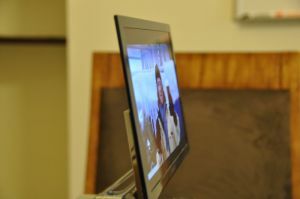 The XEL-1 was a small TV (11") - and very expensive (around 2,500$). Sony actually regarded it as a prototype - but one that the company decided to ship. They only made around a thousand XEL-1 sets a month until the XEL-1 was discontinued in February 2010. The XEL-1 was just 3mm thin, and feature a 960x540 resolution, a 1,000,000:1 contrast ratio, a terrestrial digital tuner, speakers, HDMI, USB and Ethernet jacks. The XEL-1 was said to have an excellent picture quality - especially great contrast (true blacks). Obviously the small size is disappointing, but again this was not truly a commercial prroduct. Displaysearch estimated that the XEL-1 lifetime is only 17,000 hours (till the display is half as bright as a new one) - while Sony said that the lifetime is 30,000 hours. Can I still buy an XEL-1? In February 2010 Sony announced that they will cease production and marketing of the XEL-1and now it quite impossible to find even a 2nd hand one on sale. 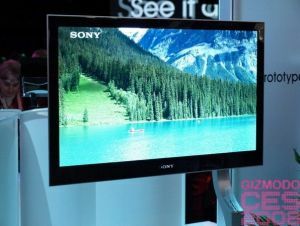 Back in 2009 Sony developed 27" OLED TVs, which were supposed to be the XEL-2, or according to some rumors, the KDL-ZX - and also larger 40" TVs. 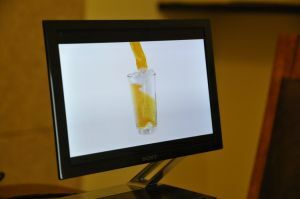 But Sony abandoned these plans, and are currently focused on OLED panels for professional monitors (such as the 24.5" BVM-F250 broadcasting monitor).